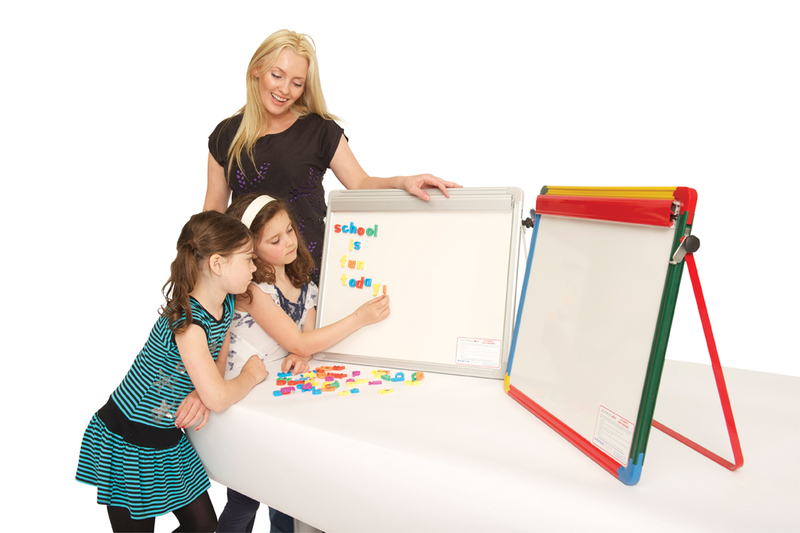 This desktop easel has a non-magnetic whiteboard in a harlequin colour-mixed frame with rounded safety corners. The whiteboard is 600mm wide and 450mm high. It also has a flipchart clamp for size A2 pads and an easy clean dry wipe surface. Ideal for table top use in schools, pre-schools and nurseries.